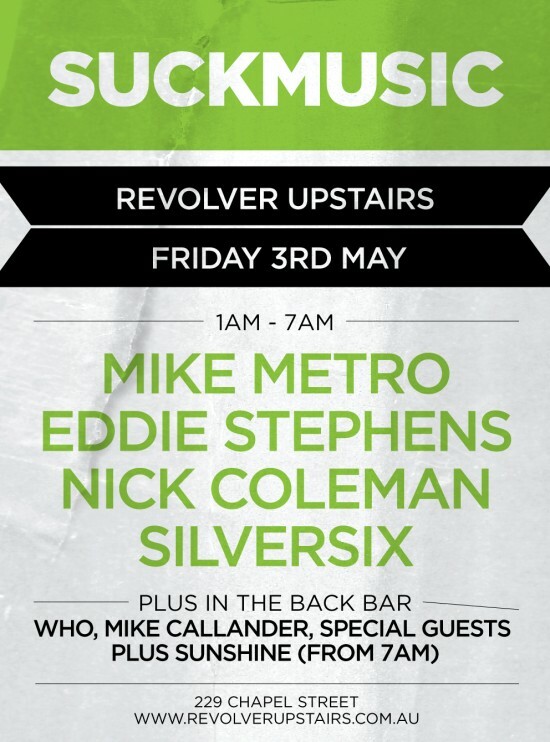 It is with great pleasure that fellow record label mates Jump To This & Say Wat come join us at our monthly Suckmusic Revolver Upstairs Party. 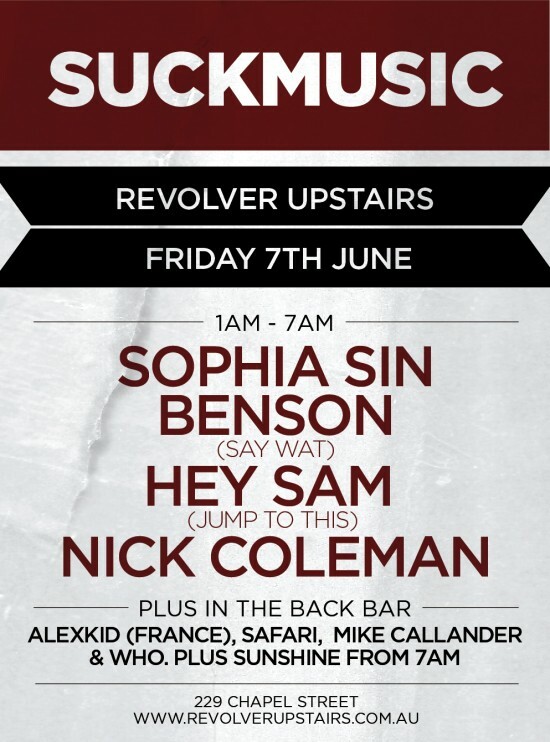 Head honchos Hey Sam (JTT) & Benson (Say Wat) will be joined by Sophie Sin & Nick Coleman. Suckmusic heads back down to The Club Hotel Sale. This will be our 3rd trip down the Princes Freeway and it is safe say it won’t be the last. The Saleians definitely know how to rock the house and the event has already become a highlight of the SM calendar. 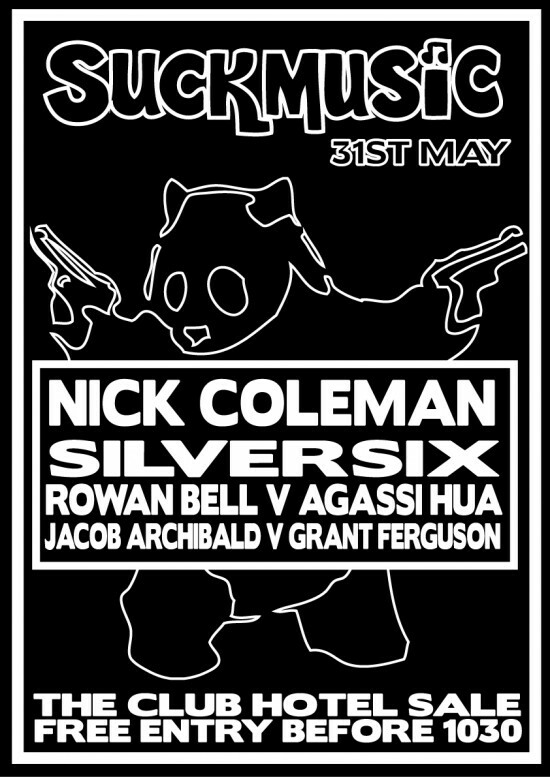 Coleman & Silversix will be supported by local talents Rowan Bell & Agassi Hua, Jacob Archibald & Grant Ferguson. Back by popular demand the lovely Sophia Sin is back in the house fresh from her little sojourn in Europe. Doakes will makes his debut in the mainroom as he continues to turn heads in clubs across Melbourne. 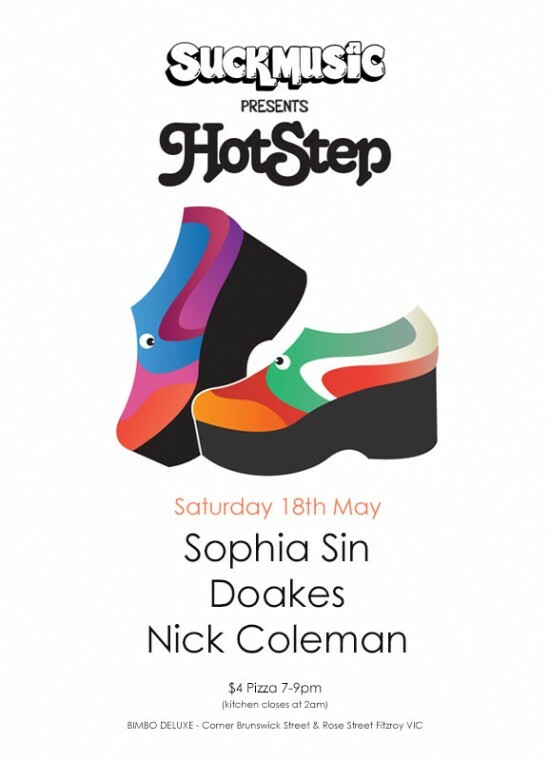 Label boss Nick Coleman will be in the house and will begin the nights affairs! 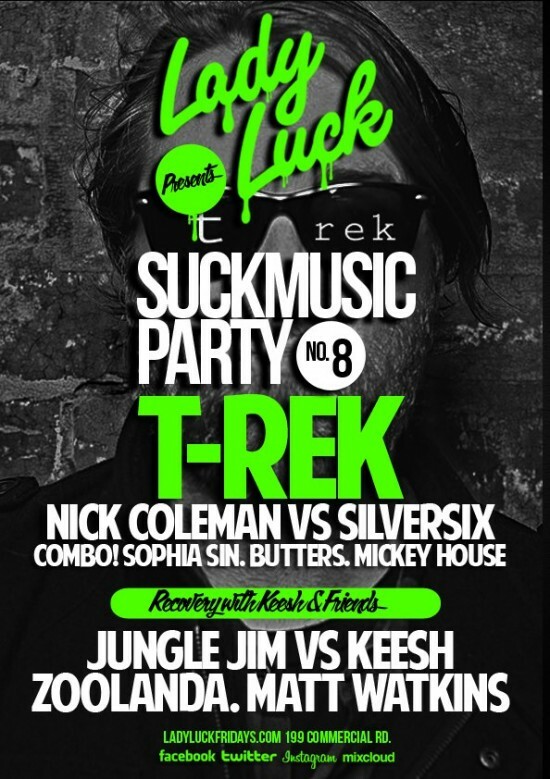 Suckmusic guestlist at the door as always. 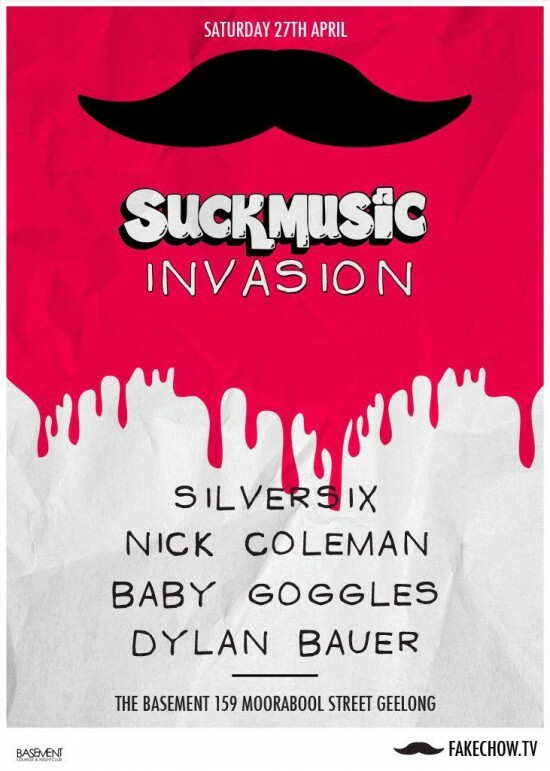 CLUB NIGHT // Suckmusic Invasion at Fake Chow! 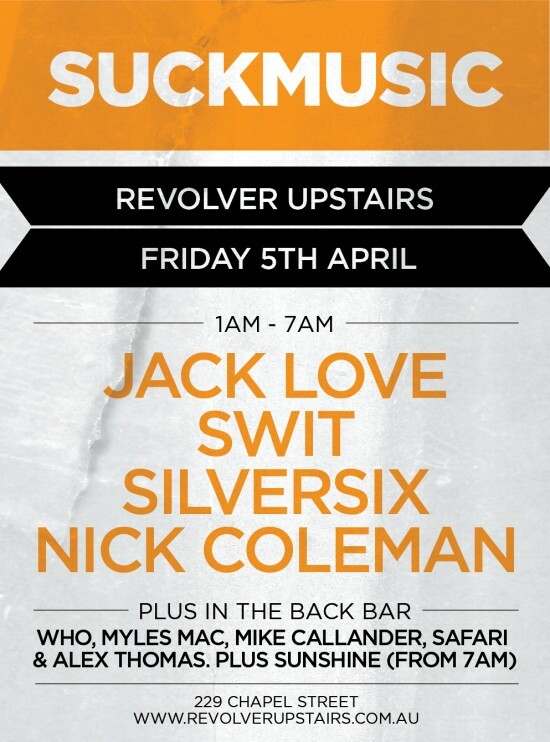 This Saturday night Nick Coleman & Silversix head down the long straight road to Fake Chow (The Basement) in Geelong. The Fake Chow crew are well known for their whacky dress sense, overgrown moustaches and quality music club night. They’ve been hosting a number of local guests including locals B00G$, Spacey Space, T-Rek & more… They’ve even had Monkey Safari pulling a guest spot. Now in it’s 5th year, the Best of Both Sides Festival began as an excuse to throw a week long party but has grown in to more than that. It is now a celebration of not just 4 days off work, but of what makes Melbourne so great. By reaching out to our fine cities’ sub-culture elite and challenging them to put together their dream parties using our festival as a platform, we’re ensuring that you (the punter) get 14 different events, each different and unique.